It's here, it's really really here! 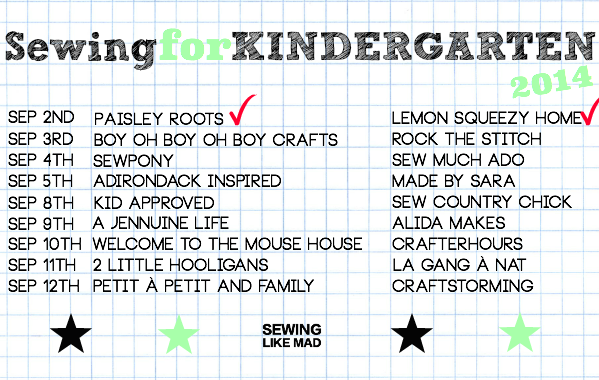 Sewing for Kindergarten is back for it's second year. I got the idea for this series in the most obvious way. My oldest child started Kindergarten last year and it really felt like such a special event in both my child and us as a parents' life that dedicating a sewing series to the event seemed entirely appropriate. And luckily you seemed to agree. Thank you for all the kind words and support me and the participants got last year! Last year it was a big operation with giveaways, sew alongs and competition. This year I decided to simplify things and the focus alone is on the sewing bloggers and their crazy cute kindergartners. I hope you still wants to follow along! I have sent all the bloggers the same set of questions to answer in their post. It will be fun to compare all the different answers I'm sure we will get. - Is this your first time sending a child to Kindergarten? - What type of school? - What was your own first day of school like? - If you still remember, ha. Let's get to the first two kindergartners, shall we! First up is Christie from a lemon squeezy home. 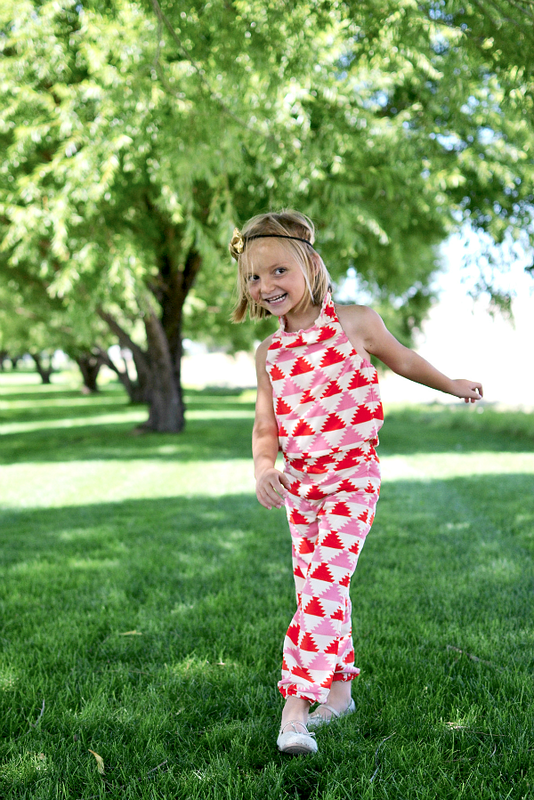 Christie has an amazing style, sews both for her cute cute kids and herself with equally success and always uses the best prints. Today is no exception!! I doubt that Christie knew this but I have a weakness for the orange/red and light pink color combination. I am totally obsessed with the Ash Jumpsuit in this fabric....as in I-want-one-obsessed!! See Christie's full post HERE. Today's other guest is Karly from Paisley Roots. 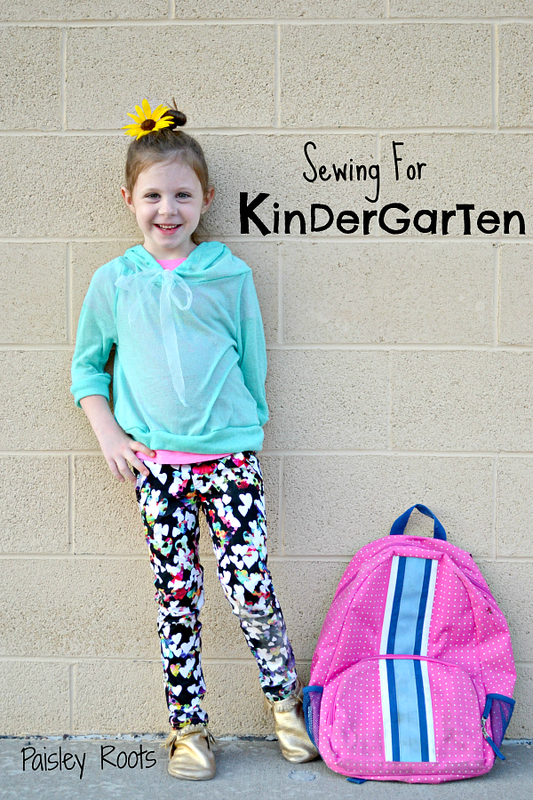 Karly and I share a love for sewing every day clothes for our kids (okay, I actually don't know this but looking at her blog gives me that impression) so this series is completely in Karly's alley. And she did not disappoint. This outfit looks crazy comfortable but at the same time super stylish. I love the colors and print. And that sheer ribbon on the hoodie suddenly transform that garment into ultra cool designer item. What a great start to such a fun series, Mie! I am heading over to Christie and Karly blogs to check all details!